Is Sushmita Sen making her relationship with Rohman Shawl official? Home Bollywood News Hot News Is Sushmita Sen making her relationship with Rohman Shawl official? Bollywood actress Sushmita Sen seems to have found love in model Rohman Shawl. Pictures of the duo were first seen when they were spotted at a Mumbai airport. Reportedly the couple met for the first time at a fashion show several months ago and hit it off since then. Rumours of them dating made headlines when Rohman accompanied Sushmita and her family to Agra. Pictures of the model posing with Sushmita and her daughters were shared by Miss Universe on her Instagram page. The two made their affection for each other obvious when they walked in together at Shilpa Shetty‘s Diwali bash. Their PDA at Shilpa Shetty’s Diwali bash gave them away as they couldn’t take their eyes off each other while posing for the paparazzi. They were later seen celebrating Choti Diwali at friend Pradeep Guha’s house. Pictures of them walking hand in hand went viral on social media. Now putting all rumours to rest, Sush has shared photos from her celebration of Choti Diwali with her family accompanied by her boyfriend Rohman Shawl. She captioned her Instagram photos as, “#duggadugga” with a heart emoji. 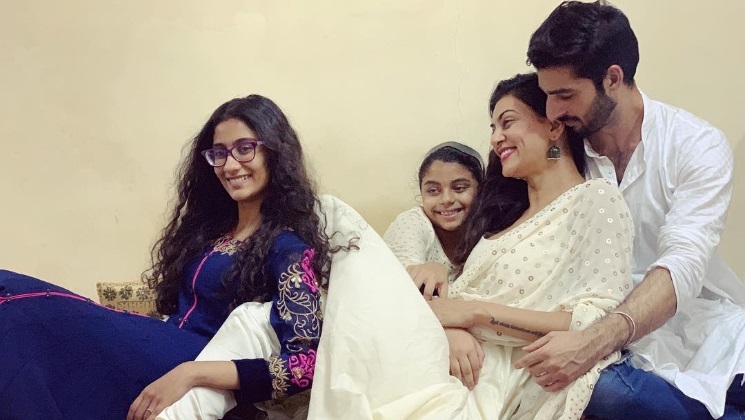 In the pictures, we can see Sushmita with her daughters dressed in an ethnic wear and looking very happy in each other’s company. In one of the videos, Alisah and Renee are seen learning the Boom Floss challenge as they enjoy the festivities with the family. Looks like the actress who has always been candid about her relationships has found love again in Rohman .